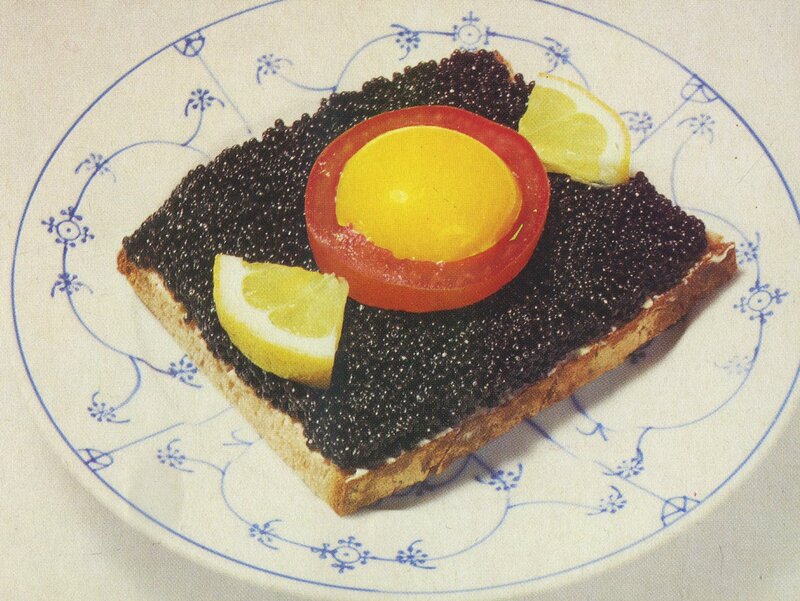 You can still buy it today, but especially in the 1960s and 1970s cheap lumpfish caviar was very popular in Germany as a substitute for the hideously expensive sturgeon caviar. 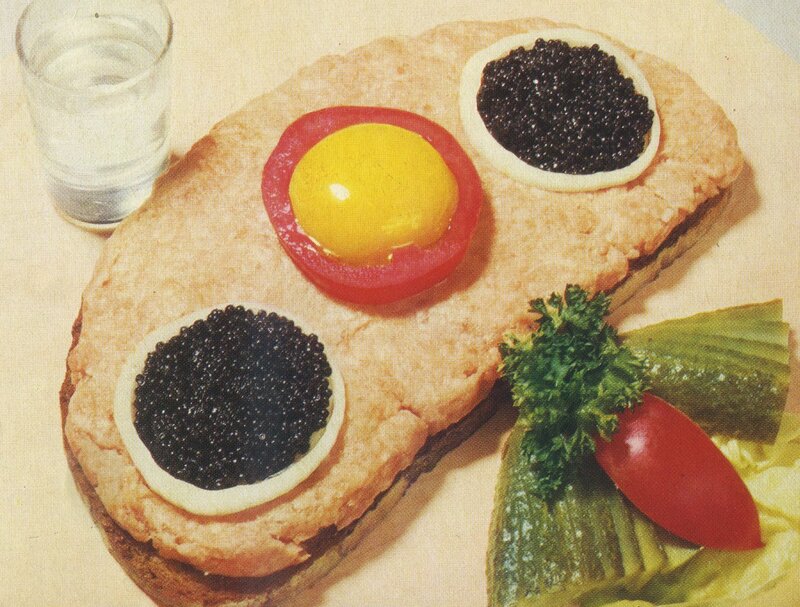 For that touch of mock luxury in your home. 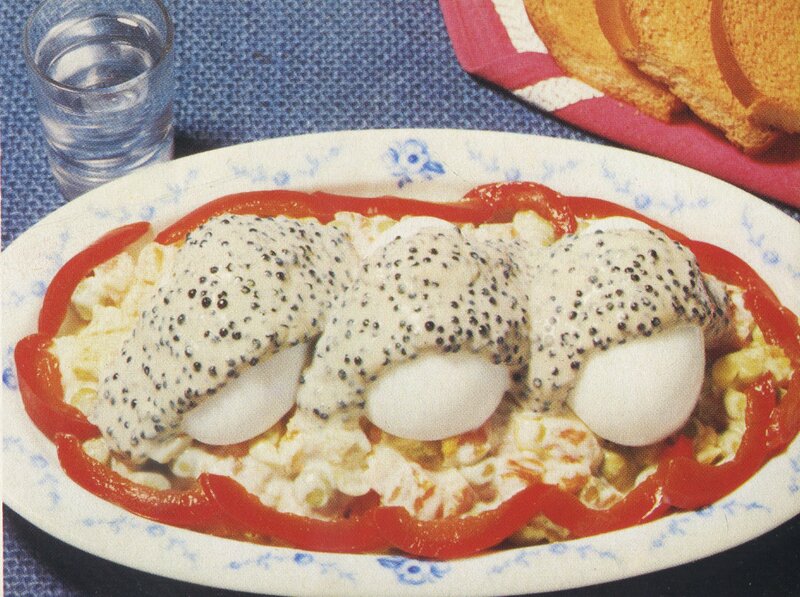 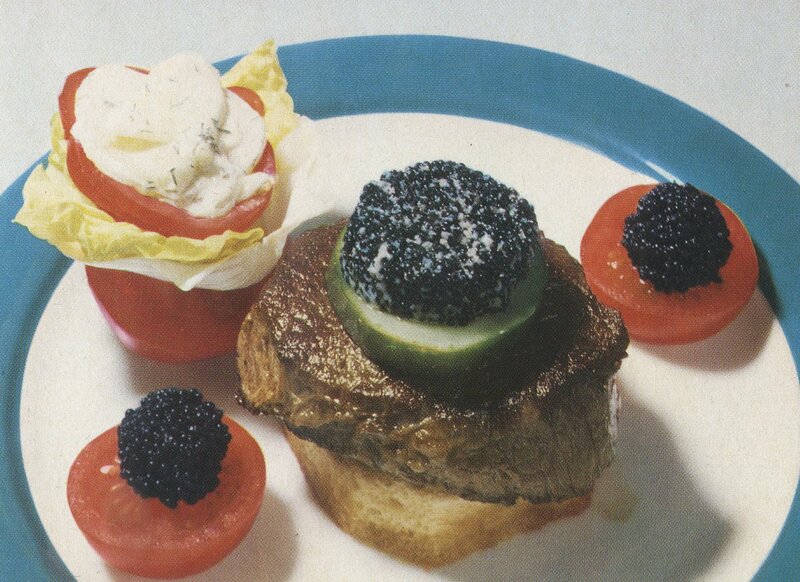 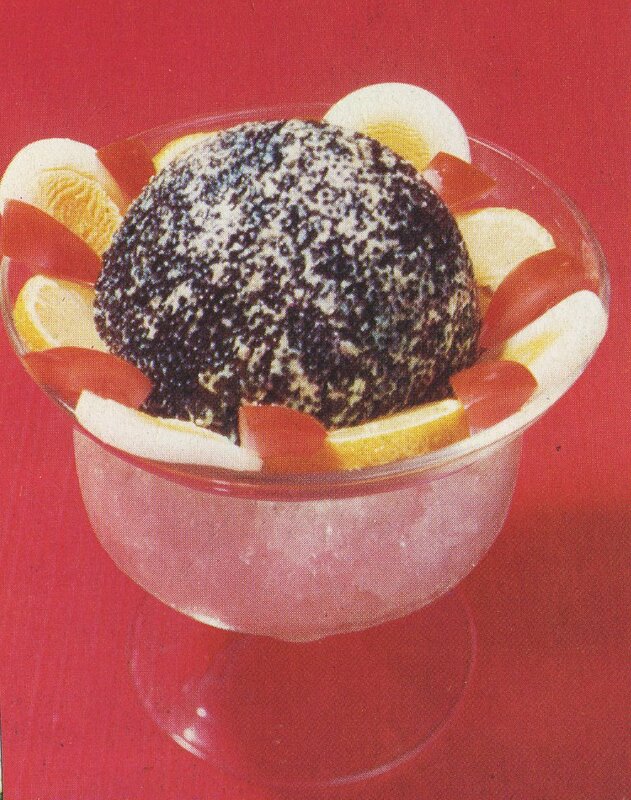 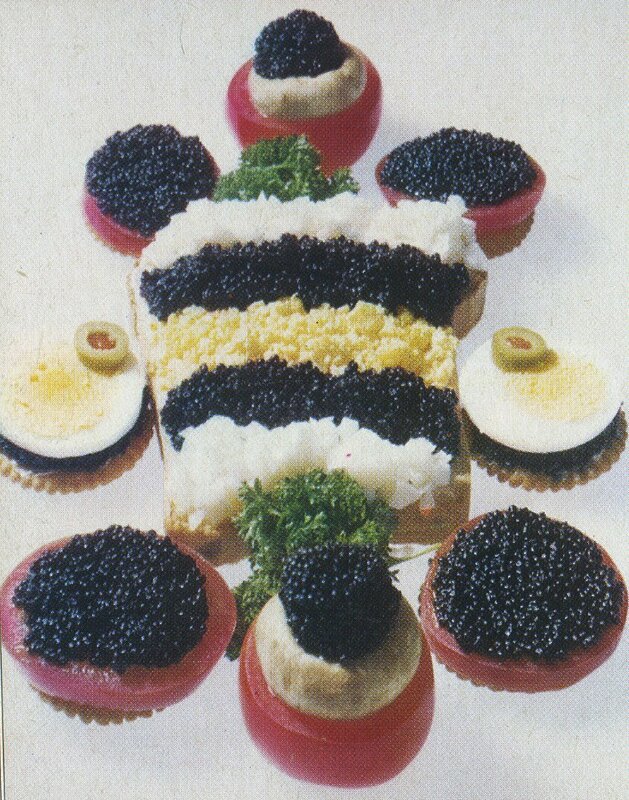 I got hold of a 1970 recipe brochure issued by Christensen, a major producer of German caviar featuring some astonishing combinations. 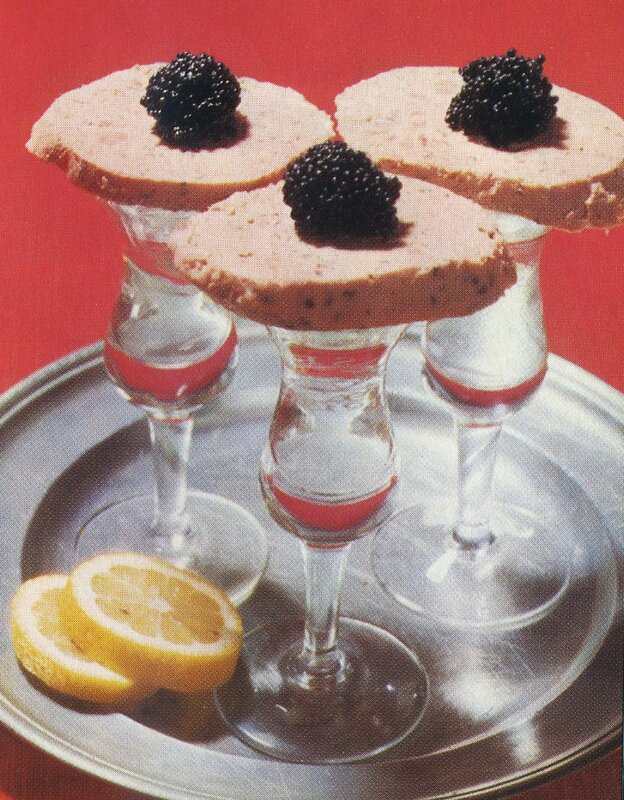 ‘Hamburg Welcome’ – Slices of liverwurst topped with caviar and served on Korn (grain spirit) shot glasses. ‘Astronaut food (after landing)’ – With minced pork, probably for Danish astronauts.